If you fly into DIA (Denver International Airport), you’ll be greeted with a terminal that matches our mountains and seven and a half acres of solar photovoltaic panels. Yes, we’re a cutting-edge, groovy city with a totally hip and charmingly dorky mayor* who’s putting us on the map as the greenest city in the country. Solar energy isn’t hard to come by around here considering we average 300 days of sunshine per year. That’s even more than Miami Beach or San Diego. You didn’t know that, did you? Now, forget I ever said it unless you already live here. 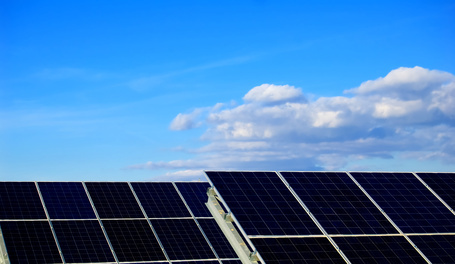 Solar cells use sunlight to produce electricity. What does this have to do with nutrition or food, you ask? Actually, nothing, but I thought it would be a good segue into the weirdness of vitamin D.
Skin cells use sunlight to produce vitamin D.
See ladies, all you are is a bikini-clad solar panel. Or, if you’re a guy, a speedo-clad solar panel. Vitamin D is the hot new nutrient these days, but there’s lots of confusing information about it, so I thought I’d dedicate an entire post to it and clear things up. I haven’t even started and we’re already in murky territory — vitamin D isn’t even a vitamin, it’s a hormone, one we can synthesize on our own. We do this with the help of sunlight and a precursor the body makes from cholesterol. *Hormones are chemical messengers, substances made in one part of the body that cause a response in another part of the body. Vitamins are essential nutrients found in food and needed in small amounts to prevent disease and support health. Two different things. How do we make vitamin D (which is not a vitamin)? The liver produces the precursor to vitamin D from cholesterol. Ultraviolet light from the sun hits this precursor (7-dehydrocholesterol, in case you’re interested), which is in the skin, and converts it to previtamin D3. Over the next day or so, this substance works its way into the body and is eventually converted to its active form — that of a functioning hormone. Two things must occur for it to become fully active, one change takes place in the liver and one in the kidneys. Conditions impacting liver or kidney function can interfere with the activation of vitamin D, resulting in deficiencies. It’s a convoluted process, but vitamin D helps maintain blood concentrations of calcium and phosphorus, which in turn helps bones grow strong and dense. If there is a deficiency or a problem along the pathway, growing bones may not calcify, become weak, and skeletal abnormalities result (rickets in children). In adults, a deficiency in vitamin D, a failure to adequately synthesize it, or malabsorption can lead to osteoporosis. In addition to being mandatory for bone growth and strength, research also suggests that vitamin D plays a role in brain and nervous system health; immunity; insulin secretion (type 2 diabetes) and other autoimmune conditions; skin, muscle, and cartilage health; reproductive health; cardiovascular health, and may be beneficial against many types of cancer. Osteoporosis is often seen in people with celiac disease. In fact, it is one of the most common adult presentations. The reasons are complex and different for each individual, but intestinal damage resulting in the malabsorption of calcium and vitamin D can play a key role. If you aren’t synthesizing and absorbing vitamin D, then calcium absorption is compromised. If you’re not able to utilize these nutrients, your bones will pay the price. Not many foods contain vitamin D — at least in a natural state. Some foods such as milk, infant formula, orange juice, and some breads and cereals have been fortified with vitamin D. Some fish (wild-caught salmon, mackerel, sardines), fish liver oil, and eggs from hens that have been fed vitamin D are good sources, but that’s about it as far as food goes. But, remember, our skin is made up of little solar panels, so we can easily produce our own vitamin D. No need to worry if you live in a sunny climate and don’t wear a burka or sunscreen with a higher number than 8. All you need is 15 minutes of sunshine a few times a week. You don’t have to bake in the sun and risk skin cancer — plus, the sun poses no risk of vitamin D toxicity. You can’t overdose on vitamin D from the sun. Excessive vitamin D raises blood calcium levels, which in turn, can cause kidney stones. The kidneys make an effort to to excrete concentrated calcium. Here’s where it gets dicey. Some research suggests many of us aren’t getting enough vitamin D and that the current RDA (recommended daily allowance) is too low. The RDA measurements are the average daily amounts considered adequate to meet the needs of most healthy people. Advocates suggest we need far more than the UL (tolerable upper intake levels) to be healthy. But then again, what if we’re taking too much and it’s toxic? The RDA for infants up to 1 year old is 1,000 IU per day. For children and adults, it’s 2,000 IU per day. That 15 minutes of sun I suggested can produce up to 20,000 IU depending on where you are, how direct and cloud-free the sun is, what your skin color is (darker skinned people need longer exposure), and how much of your body is exposed. That’s way more than you need for one day, so your body saves it for a rainy day. Literally. Vitamin D is one of the trendy nutrients right now and there are many reasons to take this one seriously. People who live in northern climates or those who don’t get any sun, older people, people with digestive disorders resulting in malabsorption, post menopausal women, and those who get no vitamin D in the diet might want to consider supplementation. Talk with your health care provider if you think you may be at risk of a deficiency. I can’t end this without saying how important it is to not only make sure you get enough of the right nutrients (vitamin D, calcium, magnesium, phosphorus) for strong bones, but also to do some weight bearing exercise every day. Stand on your hands! Your bones will thank you. Go forth and sing — here comes the sun doo-be-doo-be — here comes the sun and I say, it’s all right. This entry was posted on Wednesday, March 25th, 2009 at 12:59 pm	and is filed under Artful Aging, Celiac & Gluten Intolerance, Nutrition Therapy. You can follow any responses to this entry through the RSS 2.0 feed. You can leave a response, or trackback from your own site. My recommendation for vitamin is to head out in the sun early morning and late afternoon without sunscreen or sunglasses. The body will produce it when the UV reacts with the cholesterol in the skin. Sunscreen blocks this from happening. Brilliant post Melissa, didn’t know any of that, especially it being a hormone. I’ll remember that one! What an absolutely fascinating post. I’m ashamed to say that this was 100% new to me. I had no idea what vitamin D was, how it’s produced and what it was for. That’s the reason I keep coming back to your site time and again, well that and for a good giggle at your witty writing. I’m not sure if the vitamin D bug has hit the UK just yet. Saying that, I’m now forearmed against the sensationalist pill-pushers who will no doubt crawl out of the woodwork and onto my television screen and newspaper pages. Hey, I watched your video and a couple of others of your Mayor Hickenlooper. I think he’s perfectly charming! If I were a Rocky Mountain voter he would get my serious consideration. Actually, he’s a beer maker so I think it’d be a done deal. I agree, although I always wear sunglasses as I’ve done some minor damage to my eyes from high altitude trekking, so I need to really protect them at this point. Yes, it’s a cholesterol derivative in the skin that is converted into an intermediary then on to vitamin D. But at that point, it’s biologically inactive. It still has to take a trip to the liver for conversion, then on to the kidneys before it becomes a functional hormone. Lots going on, but it’s so easy for us to get this vitamin (non-vitamin) if we’re in a climate with good sunshine. And as you mentioned, sunscreen prevents this from happening. Be ready for a pop quiz later. In most cases, I advocate getting your nutrients from food rather than supplements. You’re right, there are too many people trying to make money off whatever the current “it” nutrient is. I’m also concerned with what is in the supplement — what the fillers are and where the ingredients came from. Also, one nutrient in a food often needs another one to work. Vitamin D is an interesting one though, we do need it and you can’t get much from food. So — let the sunshine in! Yeah, isn’t Hickenlooper a riot?! I really like the guy. He’s a former beer brewer and just a good down-home guy. But he’s also a good businessman so it appears he can get things accomplished in an efficient way. Some of our politicians have never worked in the private sector — some of them have no clue what’s going on out here in the “real” world. Well, I won’t pick up that rope! What a wonderfully interesting post Melissa… I love reading up on nutrition and potions. Advice is ever changing so there’s always something new to consider. I personally get worried about digestion problems as a whole because who knows what vitamins and minerals we’re missing as individuals. It’s easy for doctors to say that we all get the full range from a balanced diet… well yes if everything is working as it should but lots of people will claim ‘bloating’ and feeling unwell after certain foods and for all kinds of other reasons. If I were a doctor I would be asking every patient what they eat and drink as a matter of course regardless. This summer, which could fall on any day in the UK without warning I’ll be outside for 15 minutes taking in my quota of previtamin D3. p.s. I have plenty to say about solar panels as well but that might have to wait for another day! And yes, I stand on my hands every day, but never in a balconette bra. In fact, I had to look up the word balconette. That was after almost spitting my coffee across the room while reading your comment. You are so entertaining. And what a colorful image of the “nameless” person you mention painting masonry in a wonder bra. Laughter is good medicine, you know. I appreciate your contribution to my health. Aside from the humor and sophisticated lexicon, your comments are always thought provoking. Stay safe and warm Melissa and put on some stripy fleece socks (I know you must have some!) and make a bowl of wonderful toasted brown rice porridge. No reason to envy me, especially if you could see me right now. Seriously. We’re snowed in here and I’ve been outside shoveling, digging out my composter, and searching for my dog’s water and food dishes. I haven’t even combed my hair yet and it’s 9:30 in the morning. Plus, I’ve been wearing a hat (and the fleecy socks). If Ray Mears saw me right now, he’d run (or snowshoe) the opposite direction! On the other hand, my guy Fairbanks doesn’t seem to care what I look like. As for the inversions (handstands, headstands, arm balances, even down dogs), they are an essential part of my yoga/movement/health practice. Not only for bone strengthening, but for other reasons as well. Plus, it’s just plain fun to play around like a kid. Fabulous post, Melissa! I know when I started taking high quality Vit D (with K–K helps promote strong bones by binding calcium and other minerals to the bone, but can’t be taken by those on aspirin and some other drugs), it made a big difference in my feeling of well being. My daily amount is pretty high, but is monitored by my doctor. As I understand it, low hormone levels in women can also contribute to D levels being too low. Great point about getting out into the daylight for short periods with no sunscreen. Many dermatologists go on television and say everyone should put on sunscreen first thing in the morning. While that might be necessary for some with existing concerns, most of us need that exposure for our every day running around. More than that … sure, sunscreen makes sense. Re: weight-bearing exercise, walking is also a weight-bearing exercise. I thought I’d note that for people who are not so sure about taking on yoga or anything else at the moment. I am convinced that walking a lot helped repair my bones. I did have osteopenia when first diagnosed as gluten intolerant, but 4 years after being gluten-free, walking, taking D with K, taking a high quality calcium supplement, etc. my bones returned to normal. That was one happy day, when I got that news! Last, love your mayor. I checked out a couple of his YouTube videos. He’s quite the charmer. That type of job requires that and an excellent business sense. Thanks for the nice comments. Vitamins A, D, E, and K are all fat-soluble vitamins, so if you are not absorbing your fats because of celiac-related intestinal injury, you don’t absorb the vitamins. Ongoing deficiencies can cause all kinds of problems. You might be eating well, but if you aren’t digesting, absorbing, and assimilating the nutrients, they don’t get where they’re needed. I have SERIOUS night blindness — most likely from ongoing fat malabsorption ending in a vitamin A shortage. Among other things. Walking is great exercise — I totally agree. But you also need that on your upper body bones. And last, but not least — Mayor Hickenlooper. What a riot that guy is! A charming, geeky, but very smart guy. He’s very popular and has done lots of good things for Denver. Wow, sorry on the night blindness. I do believe our malabsorption issues continue and I know how many issues they can cause. I agree on the upper body stuff, but not everyone can stand on their hands! LOL Good for you though. In the summertime, canoeing is my favorite way to get that workout. Yes, it’s a drag, but I’m not complaining (not much anyway) as it could be worse. Canoeing is such great exercise, especially when you have a long rambling portage!